Continuing Moonraker’s ongoing collaboration with award winning Sarner International, we were commissioned to produce visuals for the stunning Norwegian Nature Centre. Moonraker worked with renowned scientist Christopher Scortese to produce animations of the Earth’s tectonic plates over the last five billion years showcasing Norway’s journey (starting in the southern hemisphere!) to become the landmass it is today. 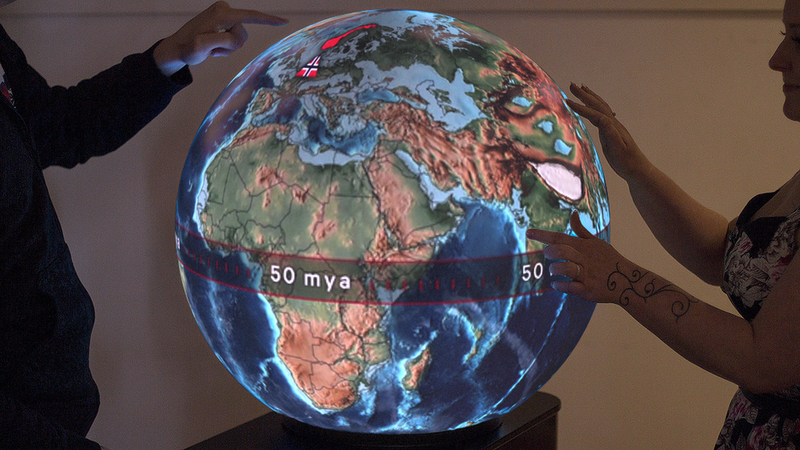 These animations were designed to work with the unique Pufferfish projection globes creating a unique spherical 360 degree view of the evolution of the continents. We also created a CG sequence showing the volcanic chain of islands created billions of year ago that lead to Norway as it is today. These formed part of a cinema film enjoyed by visitors to the museum. This work has built on Moonraker’s ongoing work in large format and bespoke screen sizes.